I have great passion for teaching piano. I have invested my time and thought into it. I would like my students to enjoy, understand, and bring the ARTISTRY of music into their life. I explain everything why we need to have a certain posture and awareness of entire body movement, why we play certain notes certain whys, why we need to relax our wrists while playing arpeggios and scales, why we push our elbows out to play big chords, why we use different weight transfer to the hands, why we don’t attack notes, why we rock back and forth to play tremolos, why we bring the melody out rather than just make sound out through different pitches, and etc. Piano studying is not only about learning the notations but also expressions, interpretations, phrasing, structures, tonal relationships, mood, articulations, analysis, and etc. I include some music history in association with the pieces the students are learning to play, besides the theory and structure of it. I would ask my students to find any patterns in the pieces and any differences between the same or similar passages. I often ask students to tell me what they can find throughout the pieces based on the knowledge they have and what they have acquired through the lessons. I ask them to listen while playing and train them to listen. When they make mistakes, they likely do notice the weirdness about them through listening the sound. I imitate HOW they play a passage and HOW I play it, and ask them what the differences are in terms of techniques and artistic interpretation. I explain how the students should practice and how they can tackle and isolate a problematic area. 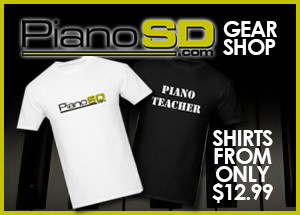 My piano lessons include theory, history, ear-training, sight-reading, technique, performance, and interpretation. I encourage students to participate as many as judged performances and competitions in reach personal goals and achievements, other than being competitive. The instructor, Judy Huang, graduated from Queens College, the City University of New York, with BA in Music. She taught piano at Amadeus Music School and The Royal Conservatory in New York. She moved to the South, and formerly taught private piano lessons at Griffin School for the Arts. Then, private piano lessons were given at Judy's Studio in Griffin, GA, for 11 years. She resides in Sugar Hill and teachers at her own studio currently. Judy encourages parental sit-in for children under age of 10. Judy's versatile teaching styles, positive attitudes, and great passions for music and teaching are affirmed.